A.Richard William, Dr.J.Senthilkumar, "Auto-Scalability in Cloud: A Surveyof Energy and Sla Efficient Virtual Machine Consolidation" SSRG International Journal of Computer Science and Engineering 3.11 (2016): 7-11. A.Richard William, Dr.J.Senthilkumar,(2016). Auto-Scalability in Cloud: A Surveyof Energy and Sla Efficient Virtual Machine Consolidation. 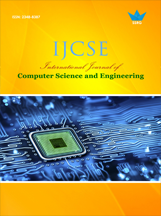 SSRG International Journal of Computer Science and Engineering 3(11), 7-11. Jingqi Yang, Chuanchang Liu, Yanlei Shang, Bo Cheng, Zexiang Mao, Chunhong Liu, LishaNiu, Junliang Chen, "A costaware auto-scaling approach using the workload prediction in service clouds",Information System Frontiers,2014. Samuel A. Ajila, Akindele A. Bankole,"Cloud Client Prediction Models Using Machine Learning Techniques", In Proceedings of 2013 IEEE 37th Annual Computer Software and Applications Conference. Wang, W., Chen, H., Chen, X, "An availability-aware approach to resource placement of dynamic scaling in clouds", In Proceedings of the 2012 IEEE 5th international conference on cloud computing (pp. 930–931). John J. Prevost, KranthiManojNagothu, Brian Kelley, Mo Jamshidi, "Prediction of Cloud Data Center Networks Loads Using Stochastic and Neural Models", In Proceedings of the 2011 IEEE 6th international conference on System of Systems Engineering. Smola, A.J and Scholkopf, B., “A Tutorial on Support Vector Regression” in Statistics and Computing vol 14, pp. 199 – 222, 2004. Chih-Wei, H. et al, “A practical guide to support vector classification”. Technical report, Department of Computer Science and Information Engineering, National Taiwan University, Taipei, 2003. Dashevskiy, M. and Luo, Z. "Time series prediction with performance guarantee". IET Communications. Vol. 5, Issue 8, pp. 1044–1051, 2010. Han, R., Guo, L., Ghanem, M.M., Guo, Y. (2012). 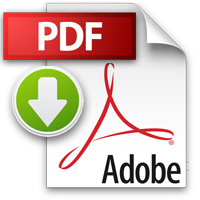 Lightweight resource scaling for cloud applications.In Proceedings of the 12th IEEE/ACM international symposium on cluster, cloud and grid computing (pp. 644–651).